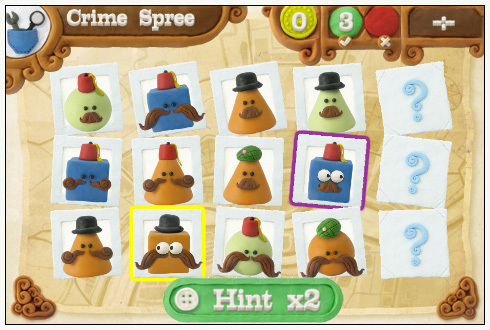 Great Fibbington’s Moustache! Untold Entertainment Creates Kahoots Entirely From Clay! Toronto – Untold Entertainment Inc. , a Canadian game studio specializing in online casual games for kids , happily announces the development of Kahoots. Kahoots is a challenging game of nonsensical crime and silly intrigue, modelled entirely from plasticine. The game is set in Londonton, a fictional and foolish vision of London, England. Drawing its inspiration from British board games like Cluedo (AKA “Clue”), and absurdly humorous series like Monty Python’s Flying Circus and The League of Gentlemen, Kahoots immerses the player in sepia-tinged Edwardian (fake) England at the height of a crime wave. As Spotland Pond’s newest detective, the player must track down cabals of criminals, all in pursuit of the evil mastermind behind their reign of (mostly harmless) terror. Kahoots is being modeled from top to bottom in plasticine. Every character, set and prop is lovingly (and squishingly) hand-crafted by the team at Untold Entertainment. 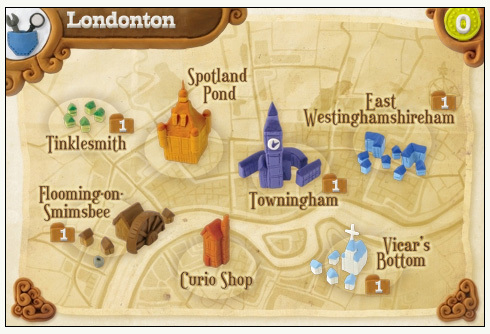 The world of Londonton is being brought to life through careful photography and digital image manipulation, resulting in a seamless (but smudgy) game experience. The creators hope that the game’s clay graphics will set it apart in the unfaltering flood of casual game titles. Kahoots is set to launch online and on the iPhone and iPod Touch in Q2 2009. Untold Entertainment is a fresh new venture formed by Toronto’s leading casual kids’ game experts. Primarily an interactive service shop catering to kids’ television production studios, Untold Entertainment is thrilled to be embarking on its first original casual game title with Kahoots. Untold Entertainment privately owned, proudly Canadian, and seeking distribution partnership for its wonderful and wholly-owned IP, including Kahoots. The company is also seeking strategic partnership with an equally energetic television production team.